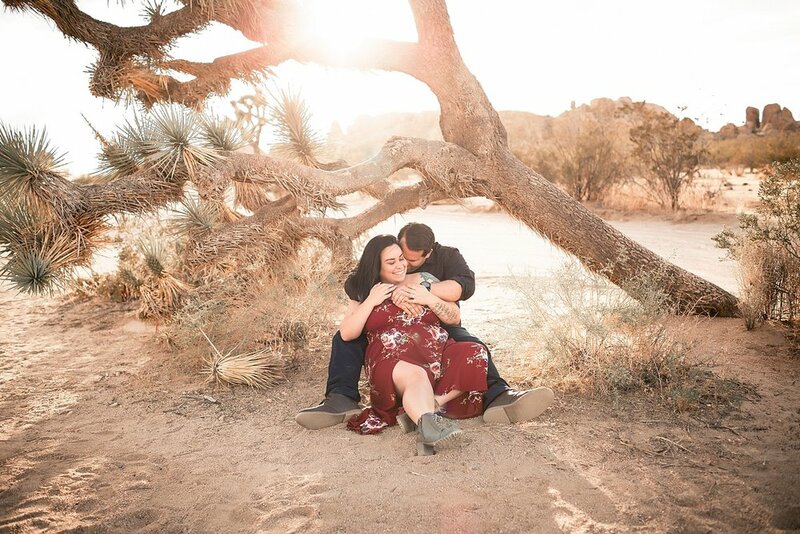 As a Joshua Tree Engagement Photographer, nothing brings happiness to my heart like to people in love. I love love, and I LOVE getting to photograph it. There's just something about telling a love story through my lens. No words are needed, just the embraces, the kisses, and the looks. As an intimate wedding photographer, I often try to think of things to write that will be helpful to my possible brides. Not too long ago, I was contacted to write a little blurb about the Best Tips for Organizing Your Dream Wedding. In return, I asked Wendy Dessler to be a guest writer for me. She's got an interesting topic and I'd love to hear your thoughts on the matter. Wow. One of the latest trends in weddings is something most folks have never even thought about – but it’s catching on and gaining pretty public attention: “bridesmaids for hire”. Socially savvy and highly organized young women are offering to take up where most wedding planners leave off – giving personal support to brides from pre-wedding dance coaching to actually donning the pink bridesmaid dresses and standing up next to them on the altar. Professional bridesmaids fall into an emerging category of wedding vendor called “Concierge Services.” According to HuffPo, these services include “social media concierges” and even professionally trained canine ring bearers! Check yourself – if you’re staring at the screen with a perplexed look upon your face, you’re probably not alone. If you stop and think for a second about the incredible level of stress and emotion that weddings naturally inspire, it’s not a totally ridiculous concept. Day-of coordinators have become quite common, taking on the role of executing plans that couples themselves made to make sure all things run smoothly. Some services certainly cross-over – many day-of coordinators work with teams of assistants who are more than happy to help a bride button up a complicated gown, carry a bag of makeup for photo touch ups, and offer comforting emotional support throughout the day. But actually wearing the dress, standing up at the altar, sitting at the wedding party dinner table and dancing the night away to keep the dance floor jumping – those are roles that traditionally go beyond the services of most day-of coordinators and full-service wedding planners. They enter a new realm of an industry that is influenced by the same internet on which you can find rent-a-friend services (the platonic version of dating websites) and evidently highly-trained canine attendants as well (it’s just such a deeply fascinating and somewhat endearing image!). Opinions are bound to stay mixed on whether most brides would be willing to hire a bridesmaid or not. On the pro side, professional bridesmaids may be able to fill niche needs on a personal scale that truly no other category of wedding pro customarily provides. Introverted brides, those who have lost most or all of their families, and high maintenance brides could certainly find a patch for something they are missing in the hands of a sensitive soul. Some couples have moved, perhaps as part of military life, and of necessity are having a small wedding in their new hometown, sans loved ones. In these cases, a talented hired hand with a caring personality and a knowledge of waterproof mascara could be very helpful. Others would argue that selecting your bridal party is practically a sacred mission – that bridesmaid is a role that is supposed to be played only by your closest friends or family. Many couples are even choosing “attendants” regardless of gender to show reverence for their deepest, longest-lasting friendships, creating fascinating new roles like “bridesman” and “groomsmaid.” Opponents of bridesmaids for hire would argue that performing one of these roles is about more than wearing similar pink bridesmaid dresses – it’s about showing support for someone you love, a role that can not be filled by a hired hand. What can’t be denied is that weddings are changing and ever-evolving. What seemed impossible to etiquette gurus even 10 years ago is commonplace today. Perhaps hiring a bridesmaid is a passing fad, or perhaps concierge wedding services are the way of the future. What do you predict? Would you hire a bridesmaid? If you or someone you know is having an intimate wedding or elopement, I would love for you to Contact Me today. It would be an honor to be considered for your wedding photography needs! As a San Clemente Wedding Photographer, I am fully aware of the importance of having your wedding go the way you dreamed it would. However, the latest buzz in my news feed, in wedding photography Facebook groups, and in my own mind, is this article written by someone at Vogue magazine about all the Rules to Break for your wedding, you can read it HERE. Normally... something like this isn't a bad thing, because it's filled with helpful tips and things to avoid to make your wedding day easier. However, this one was filled with crushing a lot of bride's dreams for the wedding they've been dreaming about since they were a little girl. As a San Clemente Wedding Photographer, I've had a few weddings of my own, and I've second shot a lot as well. I just have to say, Vogue, your list disappoints me. I'm only going to touch on a few of the points from your list, but I think they are all ridiculous! Here's what I don't understand... why do you care if a bride wants to keep some traditions? If her dream is to have her dad walk her down the aisle, and there's nothing that is actually getting in the way of that, why tell her to skip it? Now, I have seen and read stories about brides walking themselves down, or being walked down by their mother, grandmother, brother, whomever they please and there's typically a reason for them doing that. I've even heard of the groom walking the bride down the aisle. I think if that's what YOU want to do, then do it. It's your wedding, and it's your day. However, to just tell a bride not to do it because it's cliche' is upsetting. You're taking that moment away from the bride-to-be AND her father! These are precious moments, and precious traditions and a stressed out bride doesn't need to read that her wedding will basically be boring if she lets her dad walk her down the aisle. I personally had my father and my step father walk me down, and I wouldn't have changed it for anything. You also told them to skip the rings.... now, rings aren't for everyone, and if you don't want rings, don't buy rings. But, lets be honest, most girls want the ring. They want their husband to wear a ring. They want that visible symbol that says "I'm taken". Not because they are insecure in the relationship, but because they just want that to be known. For some, ring shopping is 1/2 the fun. Let them have it rather then telling them to skip it. Next point... Skip the photographer! Are you FREAKING kidding me?! Now, as an San Clemente Wedding Photographer, I completely understand that hiring a photographer is pricey. But you know what... it's worth it. When everything is said and done, the dress is put away, the cake has been eaten, the DJ goes home... all you have left to remember the day is the photographs that were taken. Now, while I think having disposables on the tables for your guests is a great idea, I strongly believe it should be used as an EXTRA, not as your only form of wedding photography. Have you ever used a disposable camera? Have you ever had 1/2 a roll not turn out because of lighting, or blur/motion, or you get 1/2 faces from a drunk attempted selfie?! Not to mention, how many images of the actual bride and groom will you get? Most of them will be of the people at the tables, the guests. Which is great... but when you've paid a few thousand dollars to look as beautiful as you do on your wedding day... don't you want some photographs to look back on... preferably without that awkward face the guest happened to catch you making?! On top of that, I've heard of people not even using the camera, or taking them home with them. Bye-bye wedding pictures. I'm sorry, I'm not even going to crack a sarcastic joke about this. NONE of these images could have been captured by a random guest and their disposable camera, at the very least, none of them would have turned out this way... sorry, try again! I had a wedding photographer gifted to me for my wedding. And while I do love my photos, he was only hired to do so much. So when it came time to the finished product, all I received was a CD with the images on it. I would have to order my own album or wall portraits, which 8 years later, I still haven't done. I also didn't hire a videographer, and it's one of my biggest regrets. I had asked my uncle to sing our wedding song for our first dance. He sang and played his guitar. And while I have a FEW photographs of it, I would have loved to be able to re-watch that video. He won't be around forever, and that's a moment I can never get back. These things are important, and I can't stress that enough. I think this is an asinine thing to tell a bride to skip out on it. And considering Vogue is a MAGAZINE that uses PICTURES to sell products or tell a story, you'd think you'd know better and understand the importance and impact of a photograph. Shame on you Vogue. The big reveal... let them do whatever reveal they please. It's the first time the groom is seeing his bride-to-be in her wedding dress, all dolled up. I have caught, and have seen others catch moments of the grooms face when he sees her for the first time. If you've never watched for it, you should. They cry, they smile from ear to ear, this is a beautiful moment and you shouldn't take it away from either of them. The big reveal... doesn't have to be at the end of the aisle, but wherever it takes place, it will be wonderful, and it will be a moment you'll both remember forever...BECAUSE YOU'LL HAVE PICTURES OF IT!! Yep... totally skip that first dance.. HOW DULL! You should probably just skip the father-daughter dance as well... who needs that anyway? And you're totally right Vogue... those bridesmaids dresses are just God awful! I don't know how they were able to withstand being in them all day. In the end, it's YOUR wedding! Do what makes YOU happy! When it's all said and done, the memories will be yours and your new husbands. Out of all the weddings I've photographed, not a single one has been the exact same as another! Your wedding will be unique to you, because it is YOURS! If you or someone you know is eloping or having a small intimate wedding, I would love to be considered for your photography needs. Please Contact Me today!